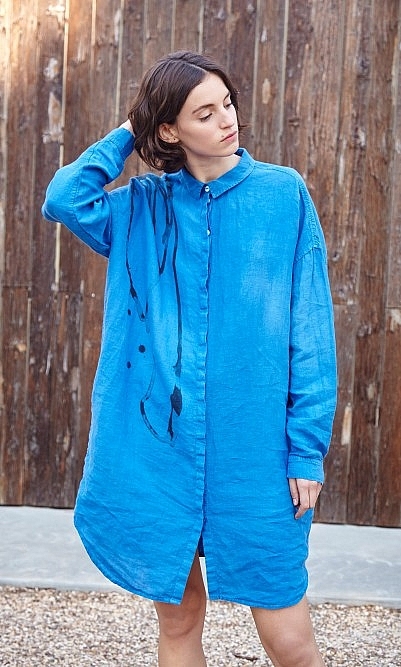 Oversized shirt in a deep indigo linen with a painterly spatter of black on one side. Point collars, button cuffs and shaped hem. 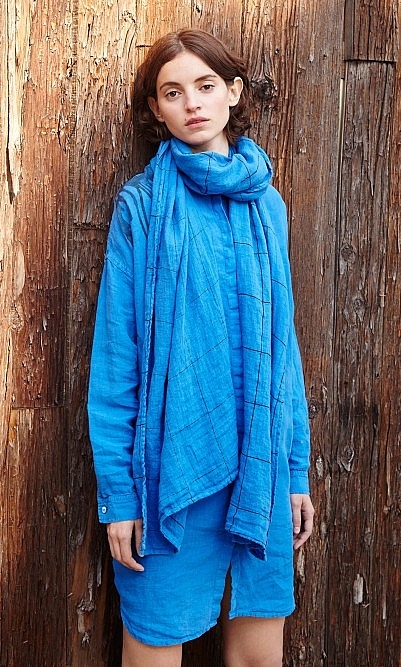 Fabric and care: 100% Linen. Warm wash. This is a fabulous shirt. The colour is stunning and the material is gorgeous It’s super long so can be a dress or tunic, very adaptable So pleased with it. A beautiful addition to my wardrobe - I wish you did some other colours too. If you are a size 12/14 I recommend getting size M. Beautiful intense blue colour. Longer length suitable for wearing as a dress or great over jeans. I love it! 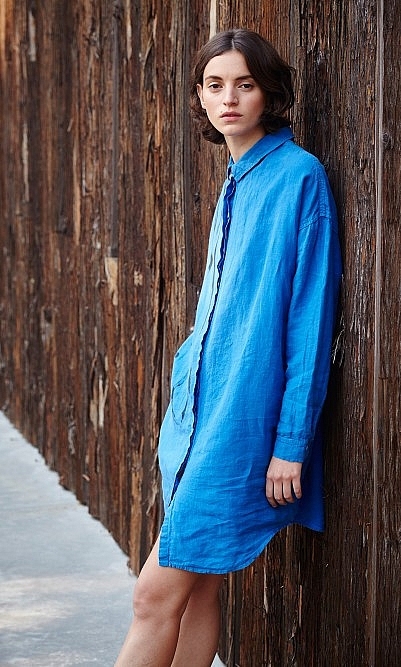 I love this shirt/dress but it creases like mad and the splash isn’t as prominent as it looks in the catalogue photo. Apart from that it’s fab and stylish. I’m a size 14 and I bought it in s/m and it fits fine. This lookes lovely in the photo but did not come across the same way when it arrived. The paint splat on mine looks much more faded and less striking. The colour and material are nice but the cut is nothing special so it’s hard to see why this is as expensive as it is. Finally, for me, this is not a dress. I’m 5’8 and this is far to short because the front buttons end to high. It didn’t even cover my knickers at the front. As I was hoping for a dress this didn’t work for me. As a longer shirt over jeans it works ok.